As parents, we want our children to be happy, confident, and sure of themselves. And doing so, starts at home with a nurturing and loving environment. But how does one go about boosting their child’s self esteem? Is it just a matter of praise and and fostering a strong sense of self confidence? Or does it go beyond that? 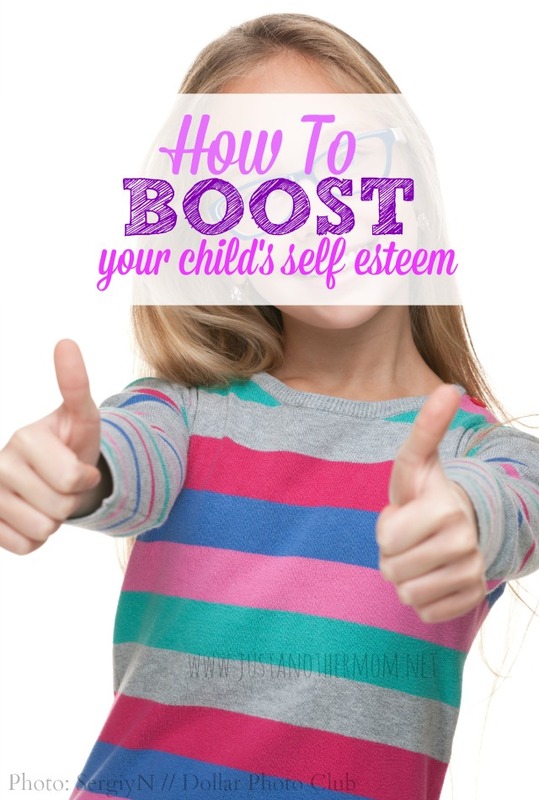 How do we boost our child’s self esteem without them seeming too self centered or cocky? Where is the line between a self confident child and a child who boasts? And is there really a difference between a self confident child and a cocky child? Like many things in parenting, this takes time and steps. They may not always notice the things that you’re doing but the difference will be noticeable with consistency. * Be patient. Patience goes a long way to developing excellent character traits. When they make a mistake, encourage them to get up and try again. Applaud them for their efforts and help them to get closer to their goal the next time. This lets your child know that making a mistake does not equal failure in your eyes or theirs. * Provide positive feedback. Sometimes the first thing out of our mouths is a negative. It’s human nature. When trying to increase a kid’s feeling of self-worth, it is important to keep a tight rein on that tongue. In every situation, find a positive spin to the outcome. For example, if your child is struggling with a school subject, give them a pep talk by highlighting how much they already have learned and that with smaller steps they can master even that subject. * Listen. One of the best ways to show someone that they are not special or worthy is to ignore them when they speak. Kids are people, only smaller. They have opinions and important things to say. When they see you giving them your undivided attention, they are more likely to do the same for others. Kids shown this type of attention also have a strong sense of their importance in the world. * Give them respect. Respect means listening when others speak, not raising your voice, and giving another chance when a mistake is made. It also means valuing the opinions and feelings of others. Children that grow up in respectful households are more confident in their abilities. You may already be doing some of these things as a parent, and that’s great. But even if you aren’t, it’s never too late to start. Try one step at a time and see how it goes. If you’re looking for a place to start helping your child build positive self esteem and self value, then you should show them your positive sense of self and strong self esteem. Be positive when you speak about yourself and highlight your strengths. This will teach your child that it’s okay to be proud of their talents, skills and abilities. Your child also benefits greatly from honest and positive praise. Find something about them to praise each day. You could even give your child a task you know they can complete and then praise them for a job well done after they’re finished. When your child’s feeling sad, angry or depressed, communicate openly, honestly and patiently with them. Listen to them without judging or criticizing. They may not fully understand why they feel the way they do, so the opportunity to communicate with you about it may be what’s needed to help them sort through a difficult situation. Suggest positive behaviors and options as solutions, and make sure to leave that door of communication open so they know the next time they feel badly, they can come to you for help and know that you won’t judge or punish them for how they’re feeling. Teach your child the importance of setting goals and developing a plan to meet that goal and complete that task. Small projects are the best to start off with in the beginning. Ensure that it’s an appropriate task for your child, and not too complex. Don’t only give praise at the end of the project, but praise their accomplishments during the project as well. Most importantly, tell your child “I love you” each and every day – many times throughout the day, in fact. When they’ve behaved badly, remind yourself that it’s not them you don’t like, only their behavior. Tuck short, sweet notes in their lunchboxes or coat pockets, or even send them a card in the mail. Soon, they’ll learn to say “I love you” just as easily and honestly in return. « Is Sugar Really Bad For You? So important! Thanks for sharing at Tips & Tricks!